Nowadays, photo sharing has become more and more popular among Apple users. Shared photo stream is a good method to allow others to check out your photos. As for how to use iPhone shared photo stream, you can check out this guidance to help you. Shared photo stream allows Apple users to create little photo sharing social networks of themselves via an iCloud account and the iDevices. It is quite simple to create and share photo streams. You can also manage the comments, subscribers and other features of the iPhone shared photo stream as you need. You are able to turn on or turn off it via the setting app on your iDevices. The shared photo stream is a part of the service of the iCloud Photo Sharing. 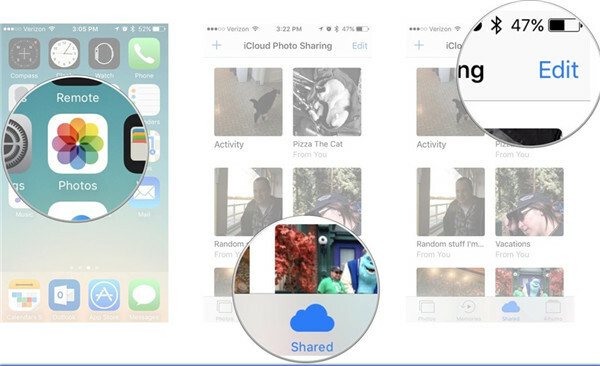 iCloud Photo Sharing enables users to create shared photo albums with other iCloud users. It allows you to share pictures with others quickly by just dropping them into an album. 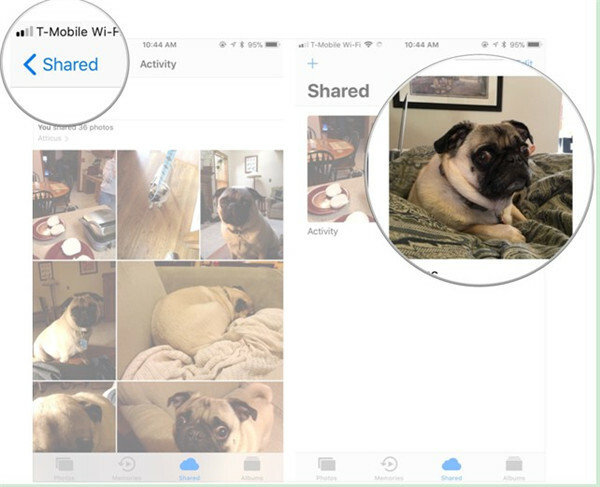 You are able to find the shared photo stream in the Photos app after you set up iCloud Photo Sharing. As for how to access shared photo stream in detail on iPhone, please follow me to check out the steps shown below. 1. Click on the Photos app on iPhone and then click on “Shared” button with an iCloud icon. 2. Click on the “Shared” button in the upper left corner in the next interface and then click on one shared album to view it. The photos in the shared album will show in the window clearly. As you can see, it is dead-simple to solve how to access shared photo stream on iDevices. You can refer to the steps shown above to have a try. 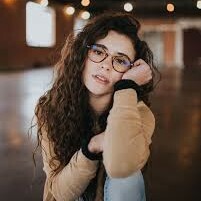 After you have known what is shared photo stream and how to access shared photo stream, you can continue to read the contents in this part to know how to use it. Since shared photo stream is a part of the iCloud Photo Sharing, you need to know how to enable and disable iCloud Photo Sharing to begin or terminate to use shared photo stream. 1. 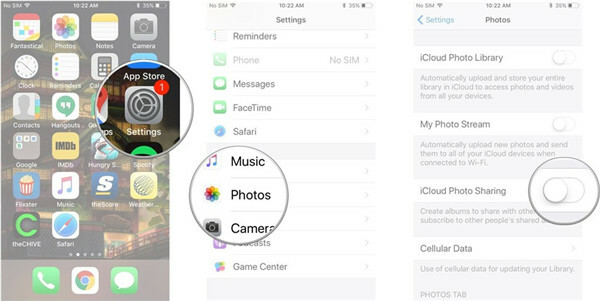 Move to “Settings > Photos” on your iPhone. 2. 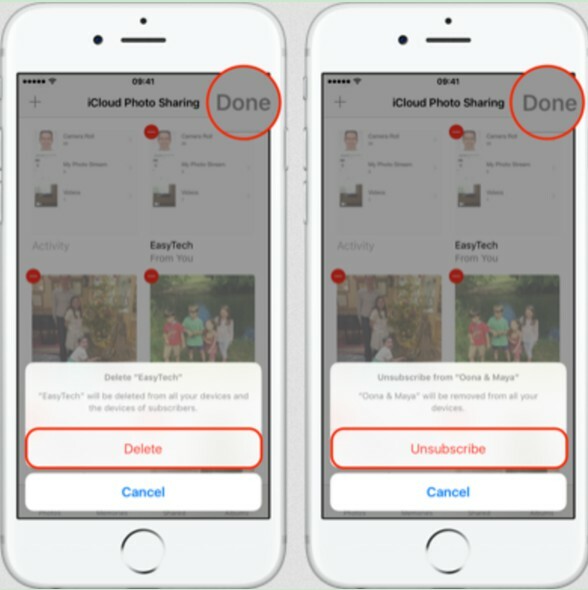 Click on “iCloud Photo Sharing” button to switch it to the “On” or “Off” status to enable or disable the iCloud Photo Sharing. If you desire to share your pictures with friends and family, you can create a shared photo stream and invite them to view the photos together. 1. Click on Photos app on iPhone and then tap on the “Shared” button at the bottom of the interface. 2. Click on the “+” button in the upper left corner of the interface. 3. Name the album and then click on “Next” button. 4. 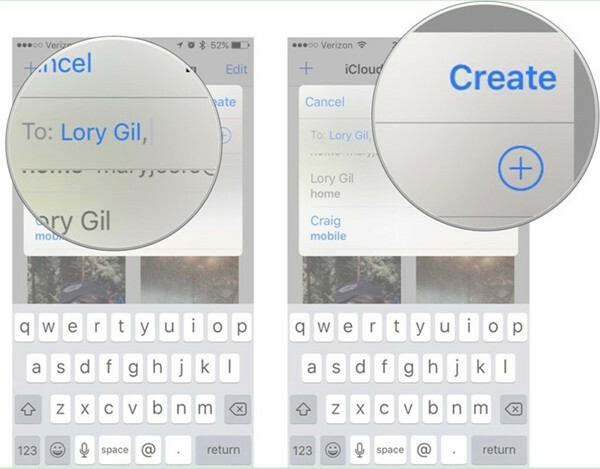 Fill in the iCloud contacts of your friends and family and then tap on the button of “Create”. 5. Click on the newly created shared photo album and then tap on the “+” button. Choose the pictures you desire to add to the shared photo stream. 6. Click on the “Done” button. You can also add a comment as you prefer. Afterwards, click on “Post” to allow your family and friends to view the shared photo stream. It is now hard to use the iPhone shared photo stream at all. Only with a few clicks, you can turn it on and off or create a new one. If you have saved many photos in the iPhone shared photo stream, you will find the problem of shared photo stream taking up storage. It will make your iPhone work slowly and there is no space for you to store other files in case you need. As for how to settle this issue, you can check out the detailed steps shown below. You can disable iCloud Photo Sharing to cope with shared photo stream taking up storage to some degree. As for how to make it, please refer to the contents in Part 3.1. You can also delete the shared albums created by yourself or unsubscribe from shared albums created by other people. 1. Navigate to “Photos app” and then click on “Shared > Edit”. 2. Click on the red delete icon next to the shared photo stream. After that, you can click on “Delete” for shared albums created by yourself. For the shared albums of others, you need to click on “Unsubscribe”. In the end, you can click on the “Done” button to confirm your operations. With the assistance of the steps shown above, you can settle shared photo stream taking up storage easily. If you want to use a professional tool to deal with how to delete shared photo stream, Leawo iTransfer will be your best choice. 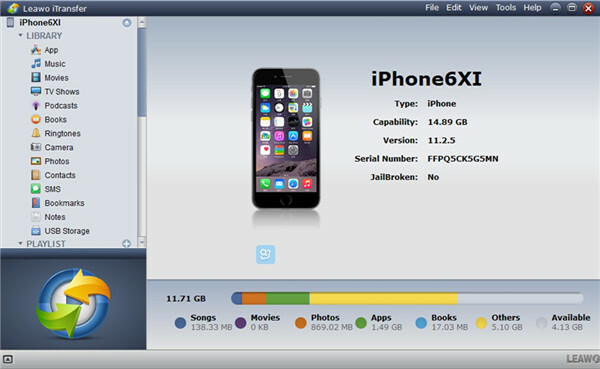 This software is powerful for you to manage files on iPhone and other iDevices easily. 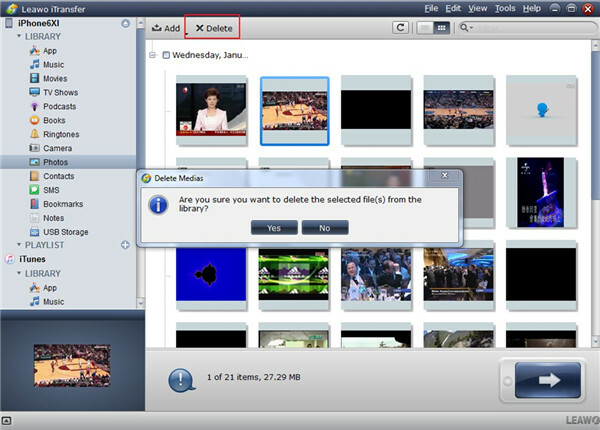 It can organize up to 12 kinds of files among computers, iTunes and iOS devices, which will help you a lot. Now let’s begin to see how to delete shared photo stream via Leawo iTranfer in detail. If you want to use a professional tool to deal with how to delete shared photo stream, iTransfer will be your best choice. This software is powerful for you to manage files on iPhone and other iDevices easily. It can organize up to 12 kinds of files among computers, iTunes and iOS devices, which will help you a lot. Now let’s begin to see how to delete shared photo stream via Leawo iTranfer in detail. Open iTransfer and find a proper USB cable to insert iPhone into computer. Your iPhone information will show in the main interface automatically. Click on iPhone icon and then choose the “Photos” tab under the “LIBRARY” menu to tap on. 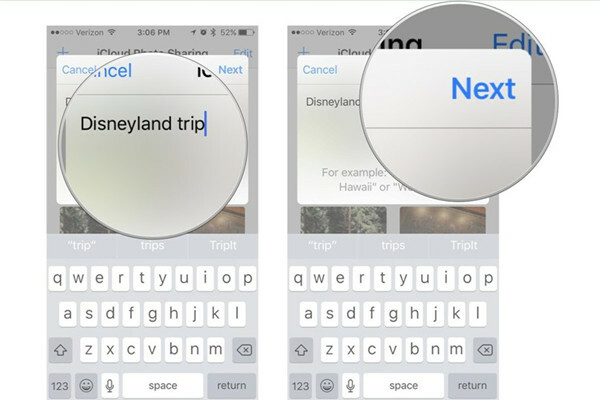 Your iPhone photos will show in the right part of the window. 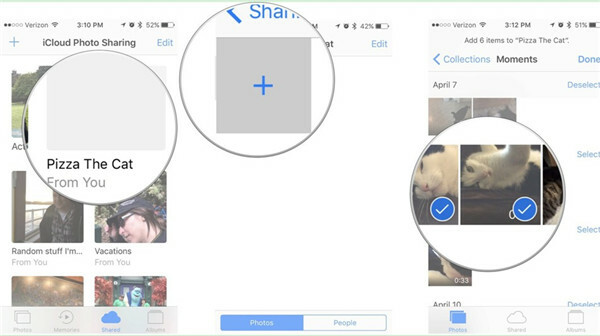 Choose the pictures in your shared photo stream that you want to delete. After that, click on the “Delete” button and choose “Yes” in the pop-up dialog to confirm your operation. 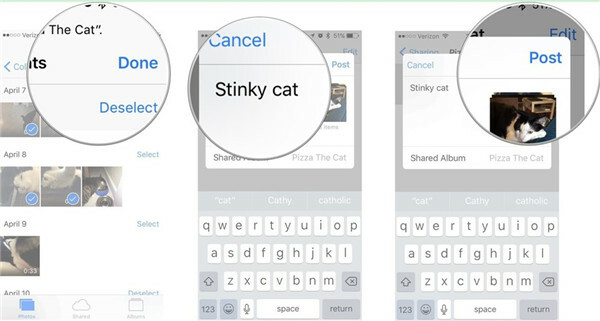 In a few seconds, you can solve how to delete shared photo stream perfectly. In case you regret to have deleted some photos on your iPhone, I suggest you to use data recovery tool to recover photos from photo stream from iPhone. 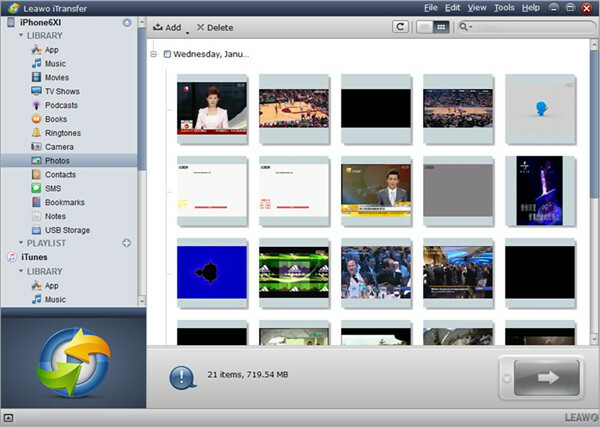 Leawo iTransfer can also be used as a program to help you to access iPhone shared photo stream on computer. 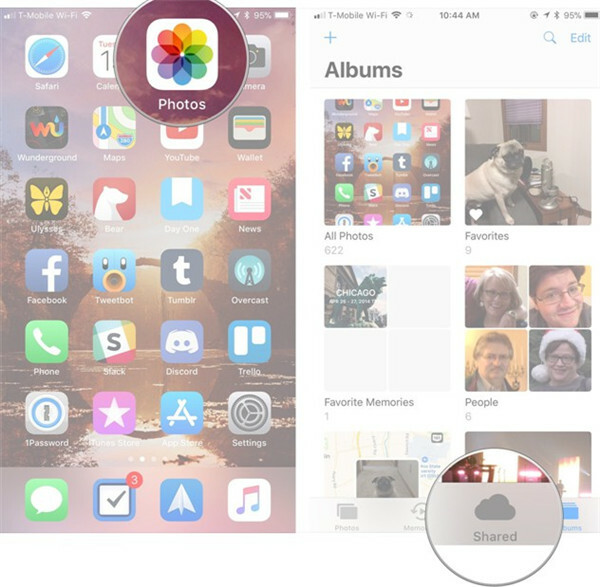 You can now have a try to use iPhone shared photo stream to share pictures with others or to delete shared photo stream to make room for other files on iPhone.